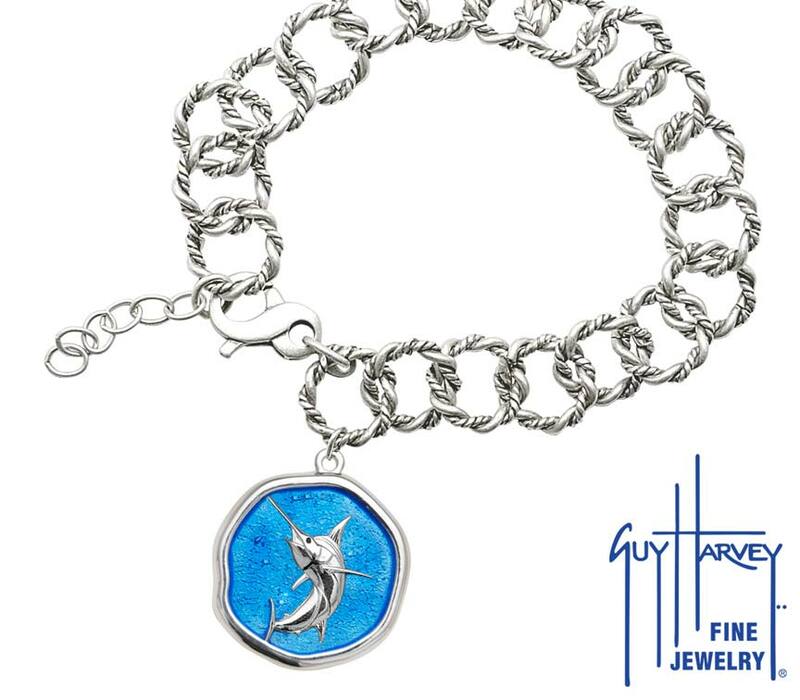 Porpoises on Black Leather GH Signature Bracelet Caribbean Blue Enamel Bright Finish 25mm. 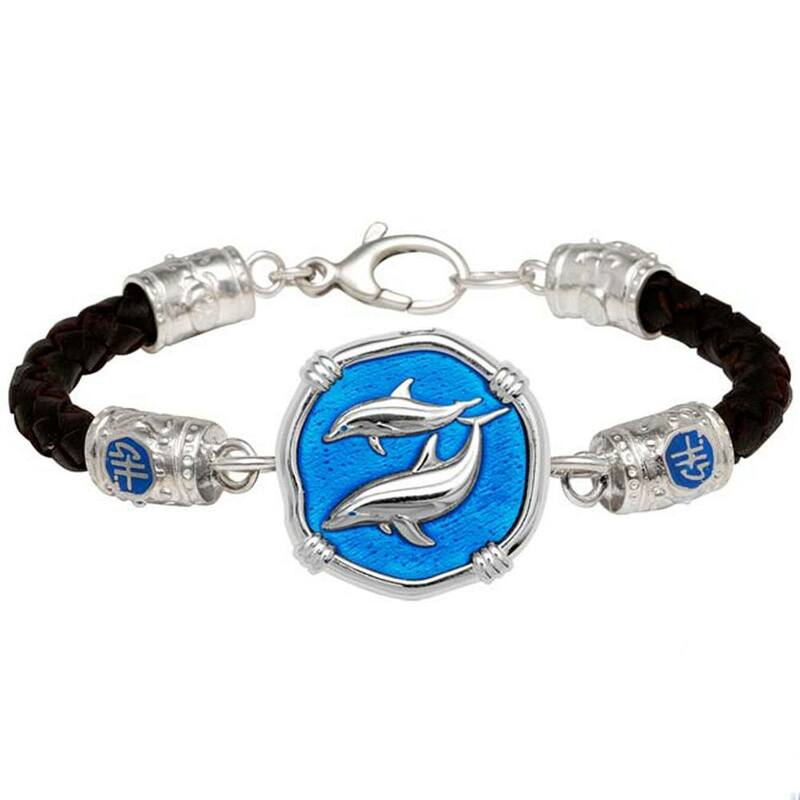 Porpoises on Black Leather GH Signature Bracelet Caribbean Blue Enamel Bright Finish 25mm. 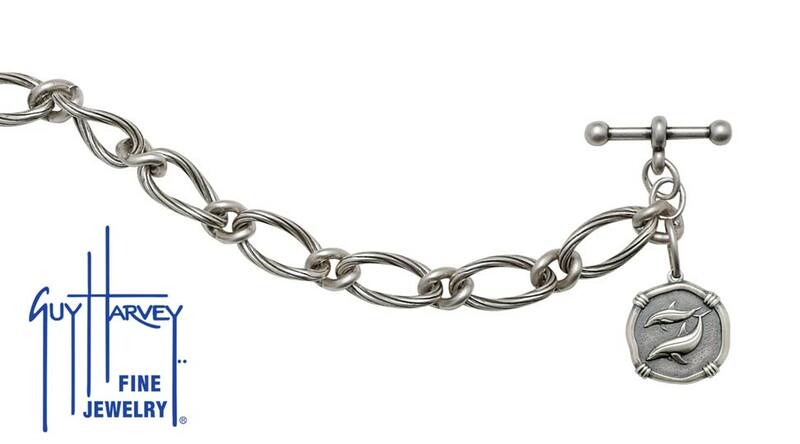 Available in 7-8" length or 9" length. 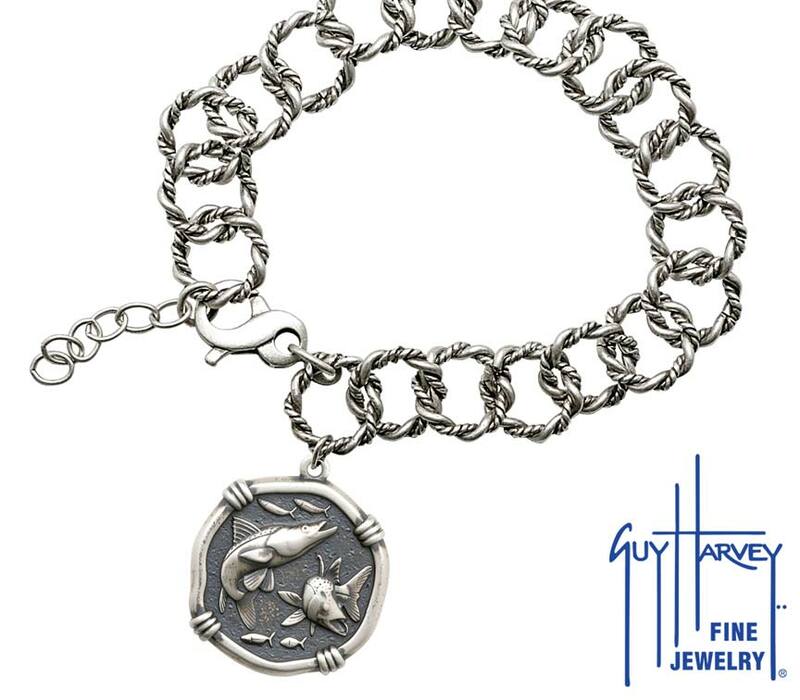 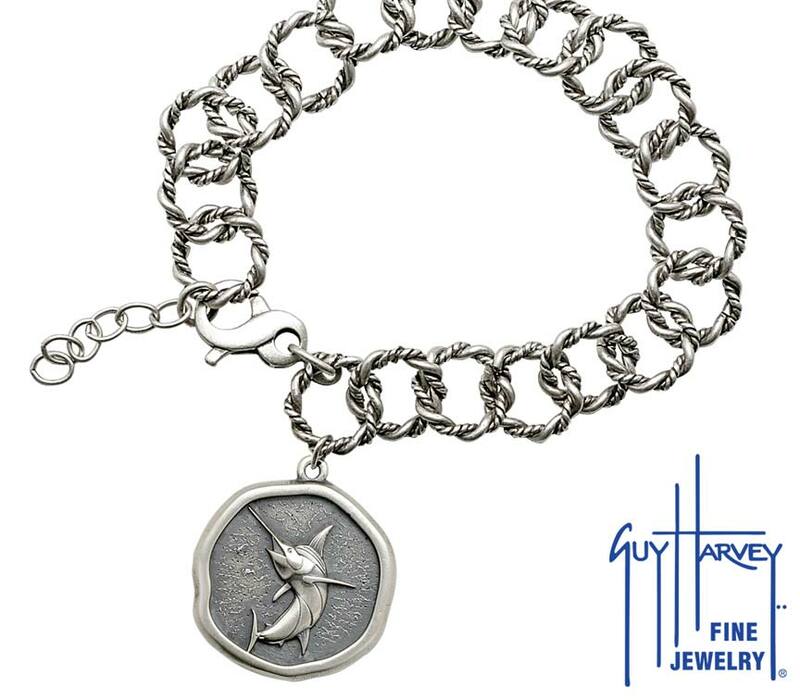 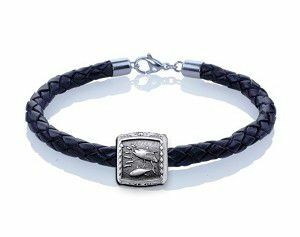 Braided leather sides are capped off by Guy Harvey signature accents. 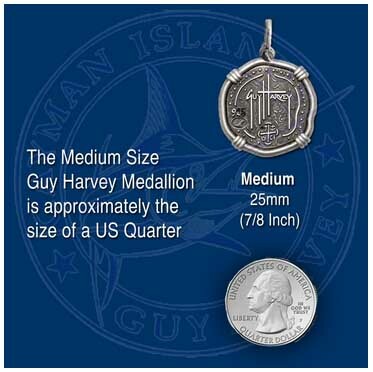 Guy Harvey signature on reverse side of medallion.